Happy St. Patrick’s Day, crafters! While there’s only a wee bit of Irish in my family’s history, we still celebrate with corned beef and by pinching our loved ones who forget to wear green! I often find at this time of year that my selection of green clothing is slim (for some reason, I never seem to have a surplus of it), and so I’m usually searching last-minute for something green to add to my outfit. 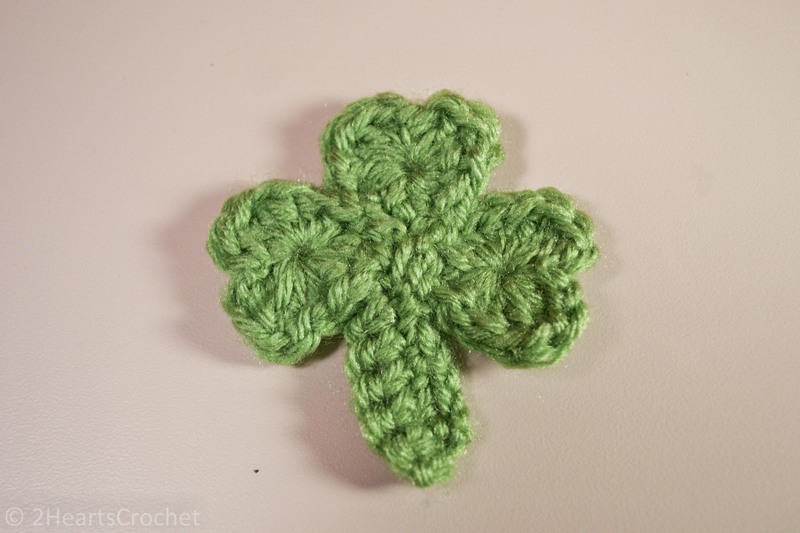 This year, I decided to make myself a little crocheted shamrock hair accessory. 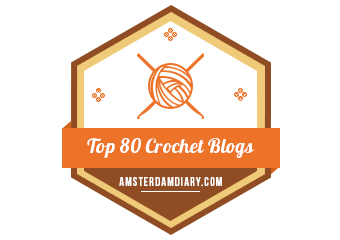 If you’re like me and you too have few green articles of clothing, then maybe this is your quick fix! Rnd 1: Make a magic circle. In the center of the circle, work 4 hdc and 3 dc. Ch 1, then work a sl st in center of the circle. Ch 1. Still working in the center of the circle, work 3 dc and 4 hdc. Join to the first hdc st of the round with a sl st and pull the tail end tight to close the circle. Fasten off leaving a long tail. Rnd 1: Ch 8. In 2nd chain space from hook, work 1 sc in each ch across. Ch 1 and turn. 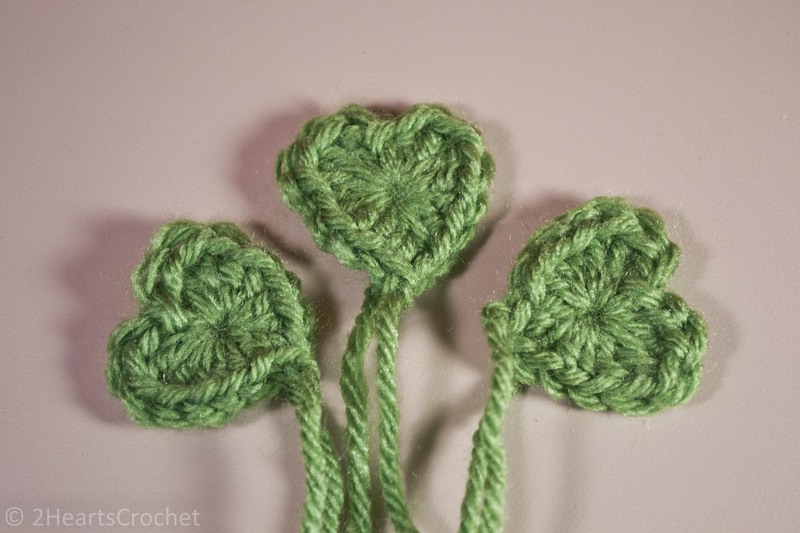 Using a tapestry needle and some green yarn, sew the three leaves together so that they resemble a shamrock. Do the same with the stem, sewing it to the bottom of the shamrock. 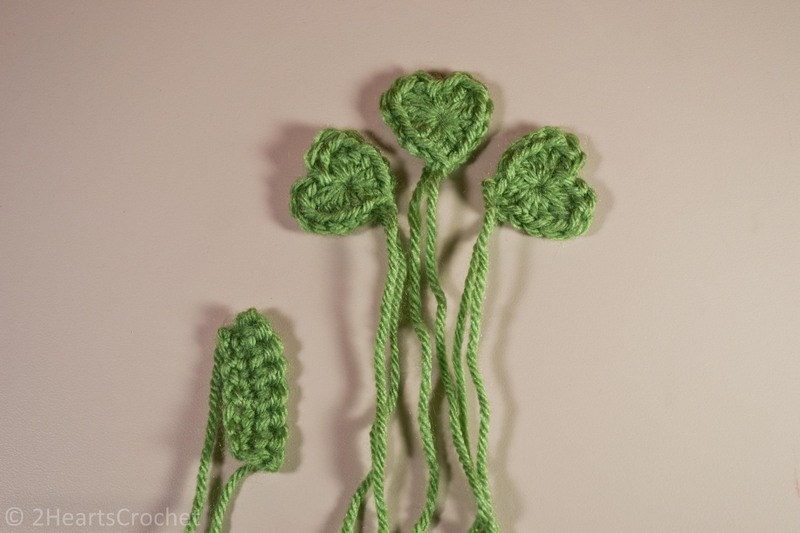 If you find your shamrock stem is a little too long for your liking, you can sew the leaves further down the stem, rather than sewing the stem to the bottom edge of the shamrock leaves. And there’s your shamrock! To fix it to your hair, you could either attach it to a headband or do as I did – run a bobby pin through the backside of the shamrock. Just enough green so you won’t get pinched! Happy crafting!